Ted is helping to build a vibrant, healthy and resilient community! Ted Drewlo has supported the development of HOPE House from its inception. 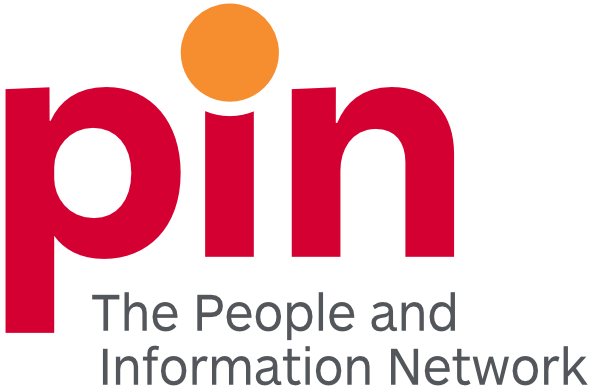 “I became involved with volunteering after I retired. I was looking for something to do related to HOPE House. I belong to Lakeside Church and I was involved with the purchase of the old United Church and the setup of the HOPE House charity.” says Ted. After contributing in a variety of ways towards its launch in 2012, Ted continues to volunteer at HOPE House each week the café. “There are lots of people that come in to HOPE House and everyone has a story. Listening is important” says Ted. 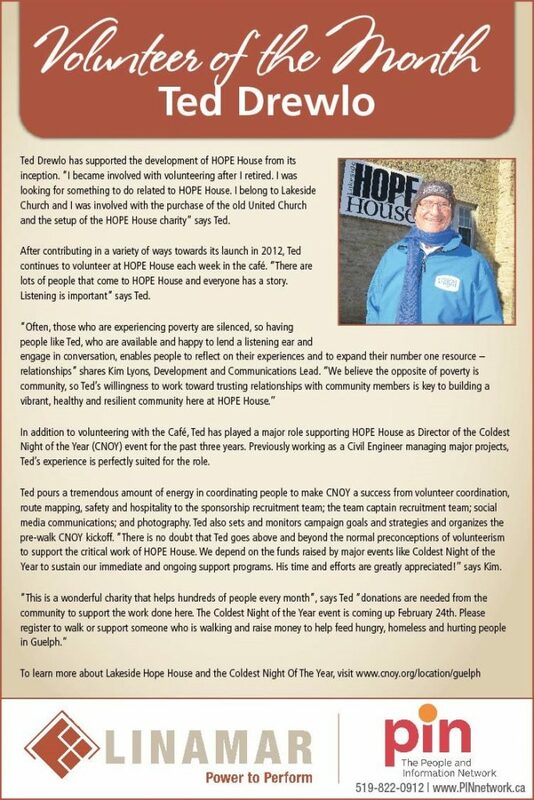 In addition to volunteering with the Café, Ted has played a major role supporting HOPE House as Director of the Coldest Night of the Year (CNOY) event for the past three years. As a previous Civil Engineer managing major projects, Ted’s experience is a perfect for the role.